Readily available options for website maintenance are vital to florist website management in order to have a successful florist eCommerce website. SiteWorks, our custom florist eCommerce website maintenance system, puts all of the tools needed to edit your florist eCommerce website right at your fingertips - 24 hours a day, 7 days a week. You choose what products are offered as add-ons during the checkout process. Balloons, candies, plush animals and more. Edit your categories names, descriptions, products, and create new categories. Look up details about an order, and email or fax your order to your shop. Create discount codes, promotions and events all in one place. 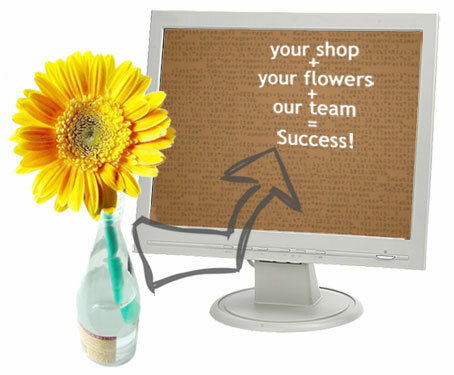 Flower delivery to different zip codes costs different, and you have control over what you charge. Close your shop early, or for vacation, or change your cutoff times for same-day delivery. Every year we release a series of email marketing campaigns and advertising banners for use on your website. You choose the banner and campaigns you want for the particular season or holiday. These plus many more features are all available to you 24/7 from anywhere in the world with SiteWorks, Media99's online florist eCommerce website management software.